This post comes from the Sisters of Charity Federation. 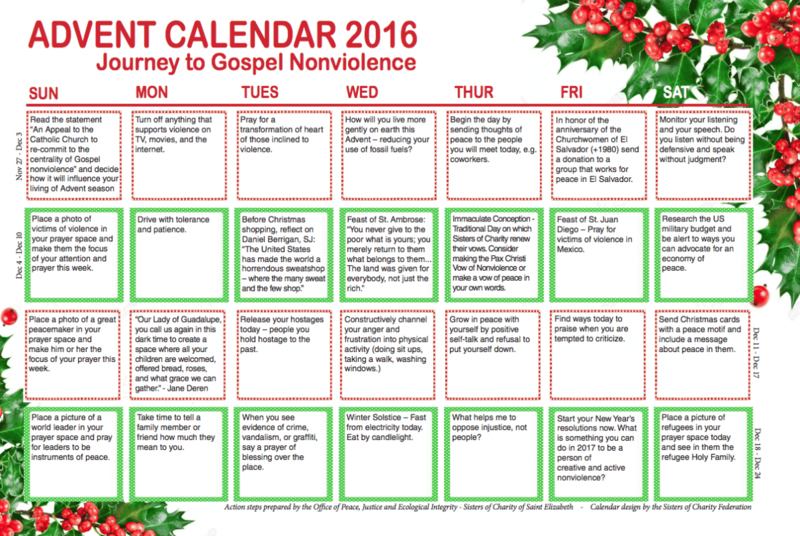 The Office of Peace, Justice and Ecological Integrity of the Sisters of Charity of Saint Elizabeth in Convent Station, NJ organized an Advent Calendar that encourages Sisters and others to work toward Gospel Nonviolence in their communities and their own lives. There are personal steps that one can take each day of Advent, beginning on the first Sunday of Advent on November 27th. Read more.